Apple on Wednesday pushed out a minor update for its iTunes media suite, fixing a podcast-related bug and various stability improvements. Developers were also provided with the first beta of OS X 10.9.4, arriving a few weeks after OS X 10.9.3 became available to the public. 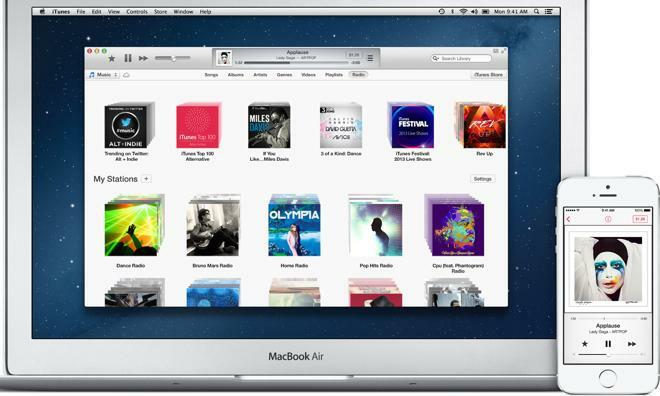 iTunes 11.2.2 is now available to download through the Mac App Store or directly from Apple for both OS X and Windows. According to Apple, the update fixes a problem where certain podcast episodes may download unexpectedly. As for Mavericks, the Mac operating system will receive another bug fix and maintenance update, with Apple now testing OS X 10.9.4 with its developer community. Regular consumers can also test out the pre-release software for free if they opt into Apple's Beta Seed Program, which launched last month. Not much is yet known about OS X 10.9.4, but the update is unlikely to bring any major additions or changes to Mavericks. The last update, OS X 10.9.3, launched two weeks ago with enhanced support for high-resolution 4K monitors. Apple is expected to unveil its next major OS X release, presumably version 10.10, at next week's Worldwide Developers Conference, which will kick off with a keynote presentation on Monday. Last year, Apple unveiled OS X 10.9 Mavericks at WWDC 2013, and the software became available as a free download on Oct. 22.